Memorandum of Understanding between Ihsan Trust and Islamia College ,Peshawar. Islamia College for Girls got Best Institution Award in 2011, 2012, 2014 & 2015. 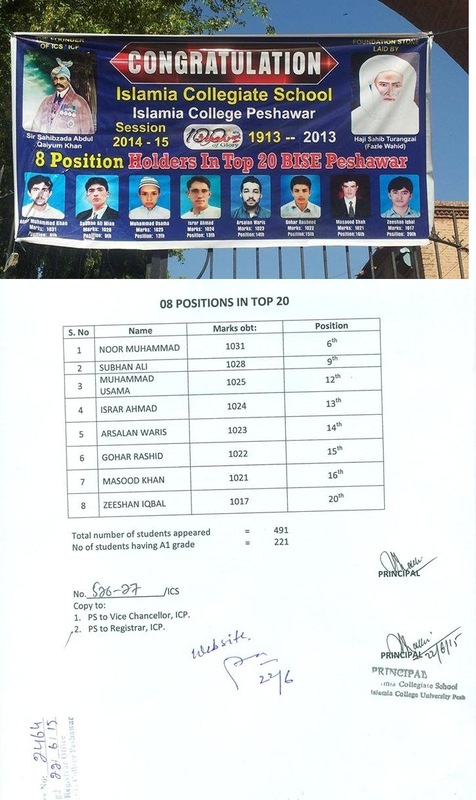 Department of Computer Science, Islamia College, Peshawar two students got admission on Scholarship in South Korea. Memorandum of Understanding between Queen Mary, University of London and Islamia College, Peshawar. Memorandum of Understanding between Sejong University, South Korea and Islamia College, Peshawar.